Disclaimer: We have made a consistent effort to make the colors and finishes similar to the image of the products you see on screen. However, we cannot always guarantee an exact match and the images on the website should not be relied in for the same. This is my first shopping from dapper dudes and Im satisfied. 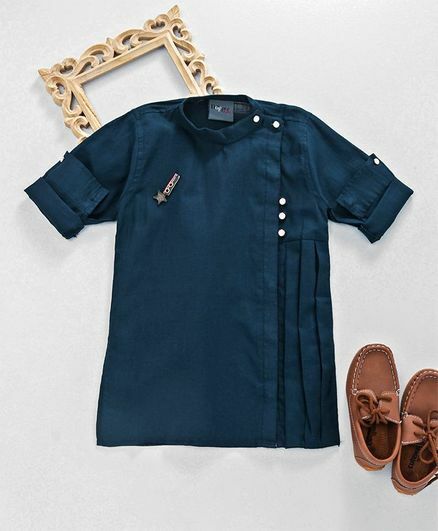 Good Quality material which is comfortable for kids and the design looks stylish. Colour is same as it looks in the picture.